“I love my unpaid job” was my facebook status last Thursday afternoon. The reason for this love? 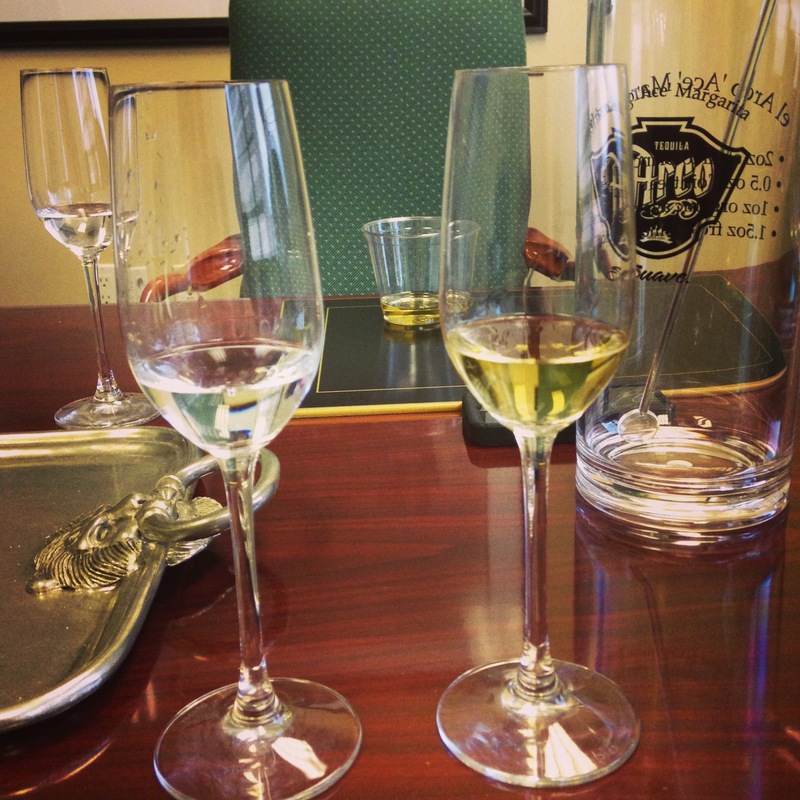 I had just come from a lunch time tequila tasting that was provided to me because El Arco Tequila reached out to Queen City Drinks to ask if one of their writers would be interested in sampling their tequila and writing a review. Never one to shirk my duty, I bravely stepped forward. El Arco is a newcomer to the craft tequila market. 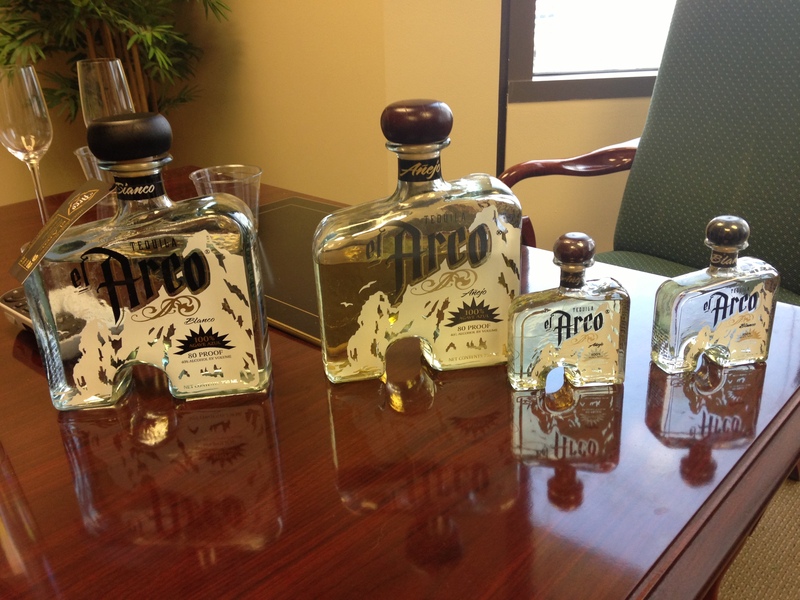 Arco Ventures LLC, a Cincinnati-based tequila distribution company bought Arco del Cabo Tequila, renamed it El Arco and began selling bottles in 2011 I believe. The change in marketing, branding, and investment seems to have them taking off quickly. When you think Cincinnati you don’t normally think tequila. So when we sat down with the owners, former NFL lineman and St. Xavier graduate, Rocky Boiman and Greg Meyer who is vice chairman of the Commercial Real Estate Council of Greater Cincinnati, we were curious as to how this brand would compare to other tequilas. Despite the owner’s connections to Cincinnati, it is clear that El Arco is a true tequila in every sense of the word. El Arco is produced by the Tres Mujeres Distillery in Jalisco, Mexico. It is made from 100% organic blue agave that grows for at least eight years before it is harvested to be made into the tequila. But how does the final product compare to other tequilas? El Arco advertises its taste rating on tequila.net right on the label, an excellent marketing strategy since both the blanco and the añejo are currently rated higher than other well known craft brands like Patron and Cabo Wabo. I learned about all of this while sitting at a table with the two pours of tequila sitting in front of me waiting to be tasted so my expectations were pretty high by the time I got to actually try the tequila. I have to admit I was not disappointed. The blanco was smooth and really enjoyable to sip. It had a sweet, grassy flavor on the initial tasting with a spicy, spearmint-like finish. Hints of citrus can also be tasted in the flavor. The añejo is aged for a full two years in an oak barrel before being bottled but other than that it is the same product as the blanco and tasting them side by side was fascinating. If you have ever compared white-dog whiskey to bourbon you will know that the aging process radically changes the flavor of the initial product. With this tequila, you can taste a lot of the same flavors between the two different products. The grass is still there, as well as some lighter citrus but the oak transform the spearmint into more of a cinnamon with a hint of dark chocolate. 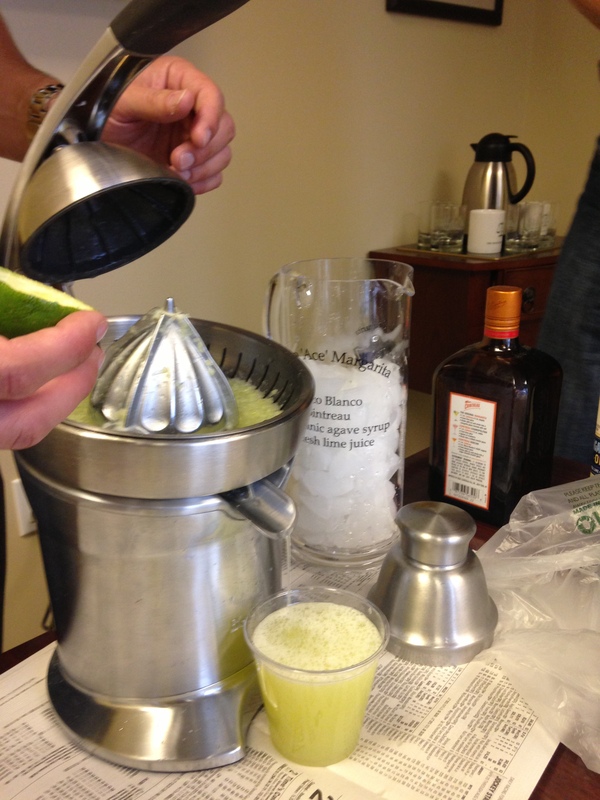 Rocky and Greg were also kind enough to make us a margarita using El Arco Blanco. Fresh squeezed lime juice, top shelf ingredients, organic agave nectar; it had to be good right? Unfortunately the one thing they didn’t have was a jigger and the result was not optimal. While I am sure that the blanco makes a delicious margarita the one I got was too heavy on the lime for me to evaluate how well the tequila worked in the cocktail. However, if you want to try one yourself I recommend going to Bakersfield where the blanco is the tequila in the premium margarita, or if you are at the Western and Southern Open this week you will see that El Arco is the chief sponsor of the bar were you can order a pitcher of the El Arco ‘Ace’ Margarita. Either way I am sure you won’t be disappointed. If you want more detail on El Arco you can listen to the whole tasting and hear Greg and Rocky explain their company philosophy on Episode 26 of Bottoms Up With Ginny and Charlie.